Winding Road Racing Southern California Location Now Open! We’re pleased to announce the opening of our newest location! The new office, which combines a storefront and a distribution warehouse, is located at 18437 Mt. Langely, Suite N in Fountain Valley. 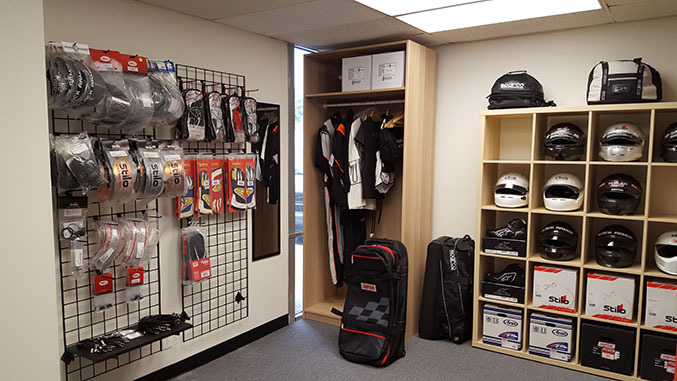 This new location allows us to offer our California customers the opportunity to try hundreds of products and take advantage of our custom fitting programs for helmets, seats, firesuits and other soft goods. West coast customers will also enjoy faster delivery from our online store, while western trackside services will also now be possible with the opening of this new location. The storefront in northern Orange County is ideally positioned to serve racers in Los Angeles and Riverside Counties, and, of course, the many racers in Orange County. And along with our original location in Austin, TX, we’ll continue to provide racers with a wide range of driver safety gear, performance parts, tools, and racing lifestyle products nationwide through our online store, as well as trackside at various racing events across the country. If you’re in Southern California the area, come by and see the new store today!